Domestic scale hybrid storage system. The 3.0kW rated power of the Solis RHI 3.0 when matched with two Pylon batteries, delivers up to 2.4kW of discharge power. That's perfect for supplying some of the electrical loads in the evening. Solis Hybrid products have a separate AC output for essential loads, so they can offer protection for certain important appliances in the event of a power cut. 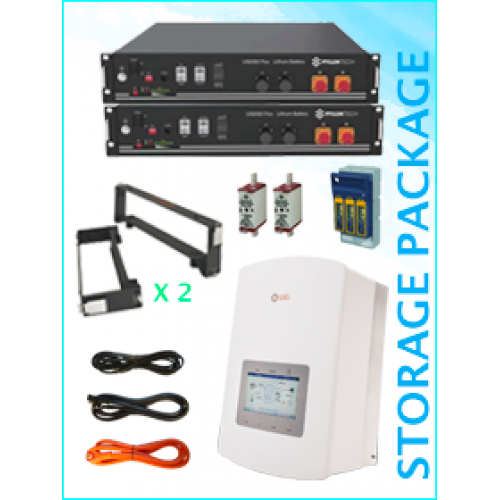 Solis Hybrid inverter comes with an energy meter and communication interface built in. The Cat5e cable for connecting the inverter to the battery and a longer length for connecting the Energy Meter to the inverter are both included. We can also supply longer lengths of Cat5e cable, should your particular site require them.